The CQC Carbon Fiber Multi Functional Belt Loop turns your CQC Carbon-Fiber Holster into a semi-pancake holster, with its 3-slot design and width adjustable belt slots. Simply remove your belt loop or paddle from your gun holster and attach the Multi Function Belt Loop with the same mounting screws as before. You can choose to wear it as a cross-draw, appendix or strong side holster and the adjustable belt slots allow you to tune the angle of carry even more and adjust the slots for different width belts. 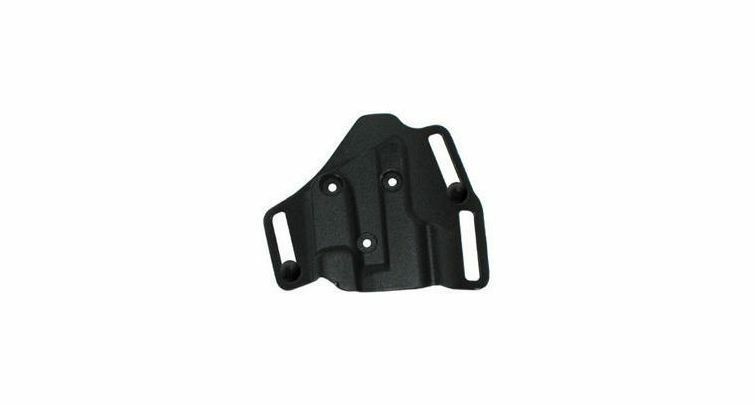 These CQC Carbon-Fiber Multi-Functional Belt Loops are molded from a flexible yet rugged polymer. The CQC Carbon Fiber Multi-Functional Belt Loop is a specially designed belt loop that curves the holster to the contour of your waist.